Debenhams was reportedly worth £900 million in 2016, but today the retail giant is only worth £20 million. Debenhams generates approximately 80% of its revenue in the UK, thus the firm is highly dependent on a single country. Considering that the British retail industry has been experiencing somewhat of a crisis, with firms including M&S, H&M, House of Fraser and John Lewis & Partners also reporting poor financial performance, it is no surprise Debenhams announced this week that control of the business would be handed over to its lenders, by entering into administration. Given that Debenhams is an iconic business within the UK retail market, and considering it once owned high-end department store Harvey Nichols, it is important to analyse what has caused the brand’s demise. Firstly, Debenhams has not successfully adapted its business model in line with market forces; more specifically, the firm has been slow to adapt its strategy to take full advantage of online consumers. Also, like M&S, although the Debenhams brand is well known, much of the organisation’s issues are attributable to the brand itself. Fundamentally, Debenhams has failed to establish a clear brand proposition for its customers. From a strategic perspective, like M&S, Debenhams has been struggling with strategic drift, which refers to the gradual deterioration of competitiveness due to failing to acknowledge and respond to the changes required in a business environment. The next point to raise concerns its growth; in 2006 the firm pursued an aggressive growth strategy but this is quite a dangerous pursuit if the firm is unaware of changing consumer tastes and trends. Expansion comes with cost, and to cope with the investment in new stores, firms often reduce prices to entice customers and boost revenues. However, when firms do this repeatedly, it harms the longer-term prospects of the business as customers will snub ‘full price’ items and hold out for discounts or a sale. 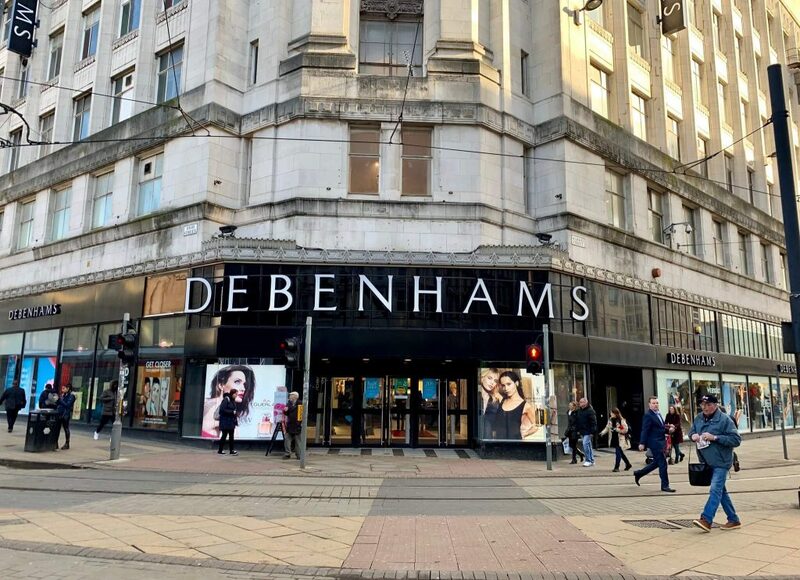 Overall, Debenhams’s expansion brought rising overheads and high levels of debt, which was compounded by the revaluation of business rates in 2017, which reportedly increased the average department store’s business rate to a huge £642,852. After recently going into administration, Debenhams has already received some offers. Mr Ashley, who owns Sports Direct, put forward a £200 million rescue offer from Sports Direct, which was primarily rejected due to Mr Ashley’s demand to be installed as chief executive officer. While Debenhams would undoubtedly benefit from the injection of cash, it would also contribute to Mr Ashley’s dominance in the UK market, as only last year he conducted a £90 million buyout of House of Fraser. Regardless of who takes the helm at Debenhams, a cash injection is not enough. Rather the business model must adapt in order to address the industry challenges aforementioned in this blog. This blog was written by Dr Amir Qamar, Lecturer/Assistant Professor in Strategic Management at the University of Birmingham. Amir is an Associate of City-REDI.